this needs to be fully rendered. looks awesome so far. Yeah I agree. 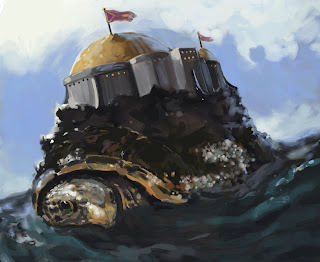 I need to revamp that whole castle thing upon the turtles back too. I was just wacking it in at the time.